A Buy, Sell and trade Lego Show? 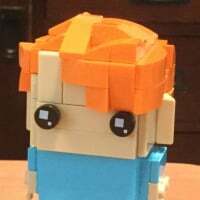 Would anybody like to help me set up a Buy, sell And trade Lego show in CT? Where are you living I would like to make it neutral for most people. If we could rent out a facility like a gym or something we could charge admission fees and could charge sellers for a table to pay for it. I would love to have one a bit more local because they are all on the other side of the country. No what is it. I had checked out the link but can not figure out what it is. Doesn't "LEGO Enthusiasts of Connecticut" tell you? Yeah, that page is pretty clear. Why would you want to do it? To sell LEGO yourself, to promote LEGO, to make money? You will need a lot of sellers to make something like that work, and also a lot of displays to get possible customers in. @Desinger, do you mind if I ask how old you are? Just to say people think that organising an event like that would be easy and make lots of £££. Trust me, that isn't the case! I just want to get my hands on more Lego but it would not work so forget I Started this chat. How do you end a chat?